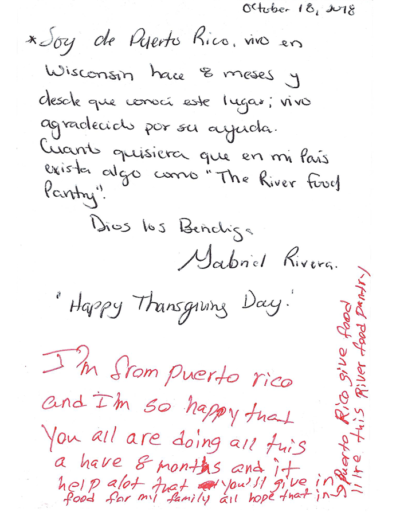 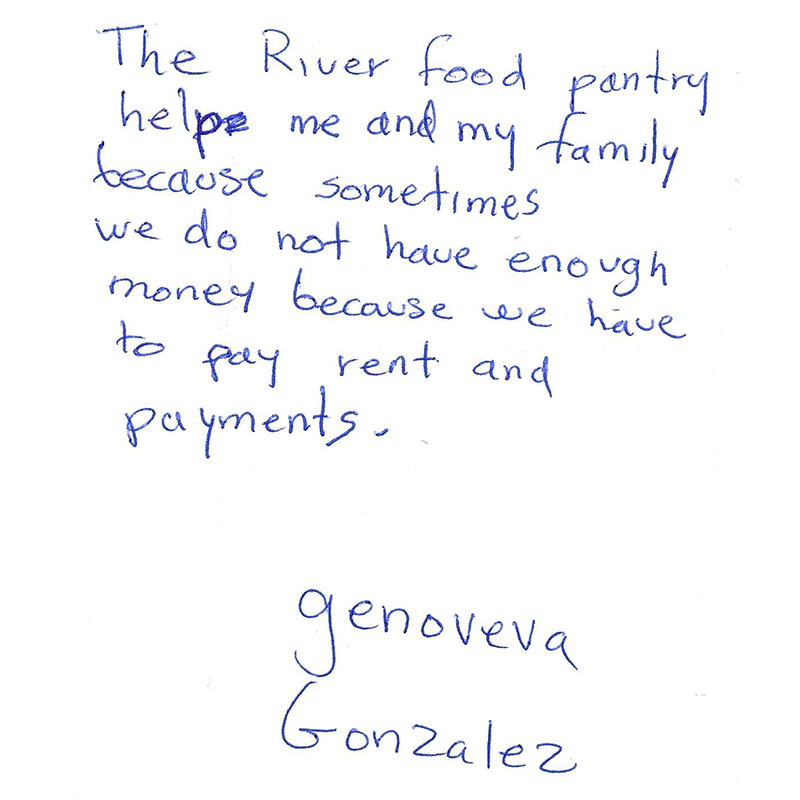 In preparation for #GivingTuesday, we asked our clients one simple question: What does The River mean to you? 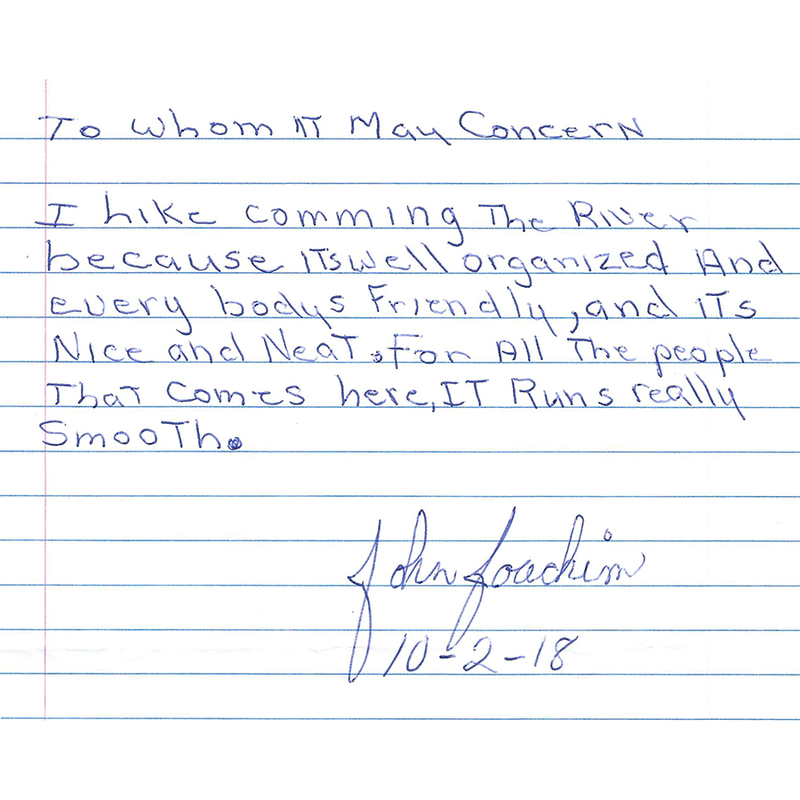 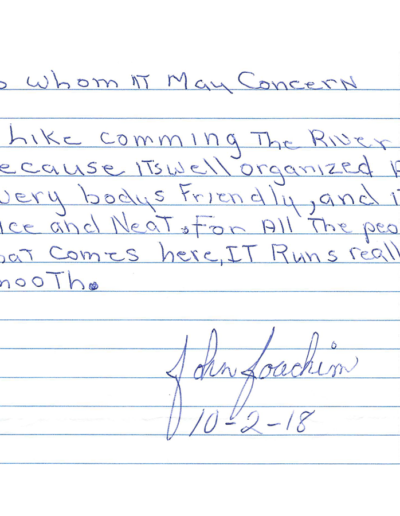 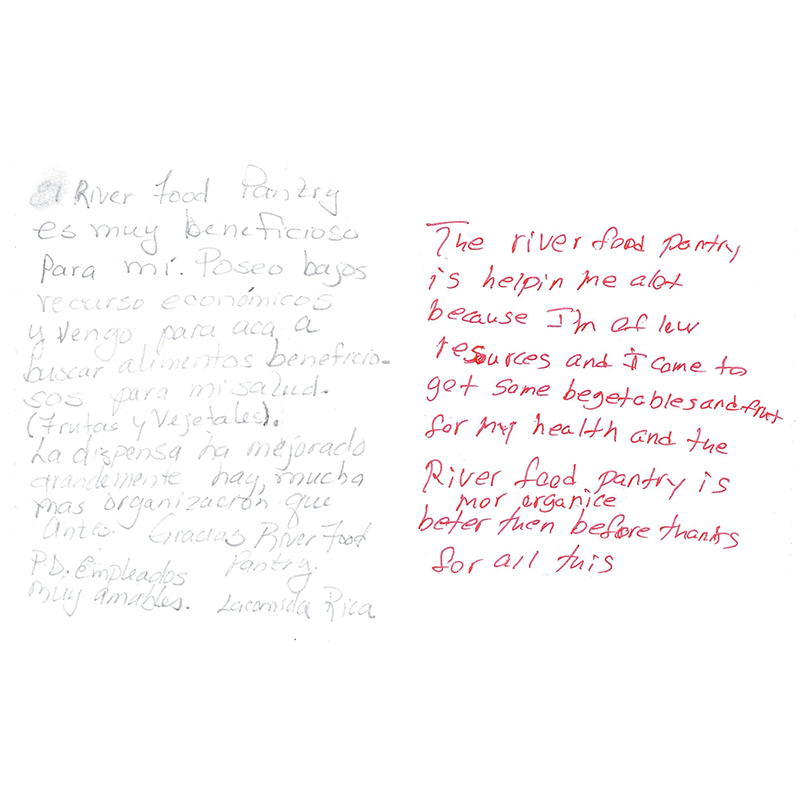 Show The River’s clients what they mean to you and our community. 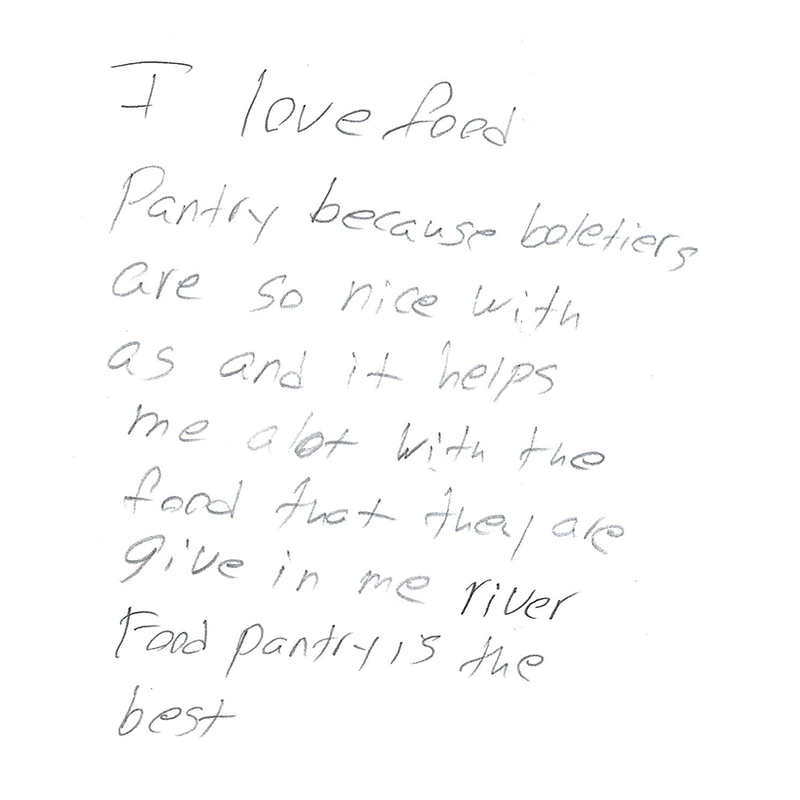 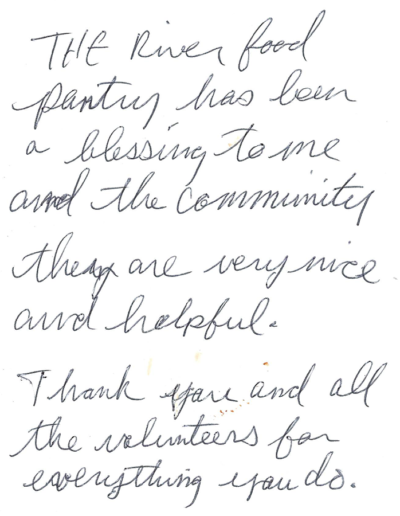 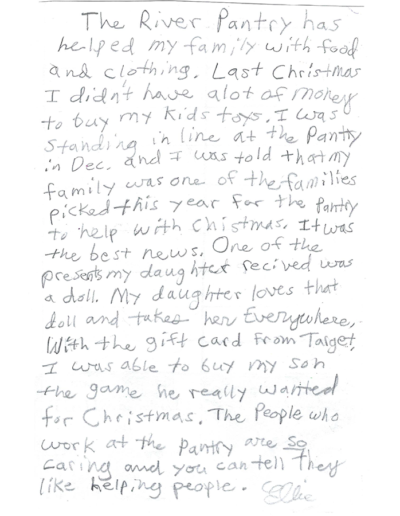 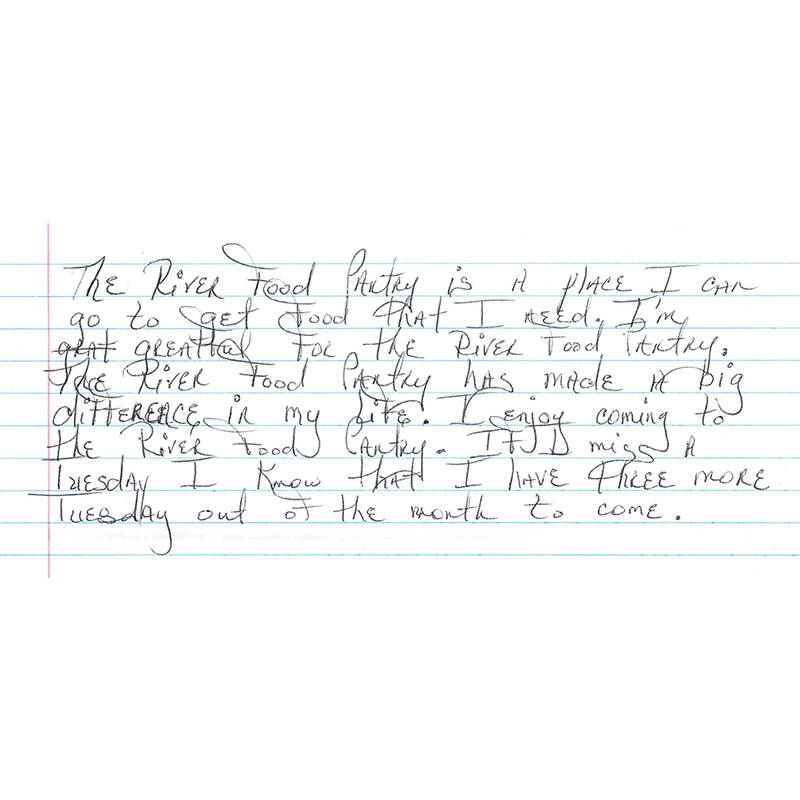 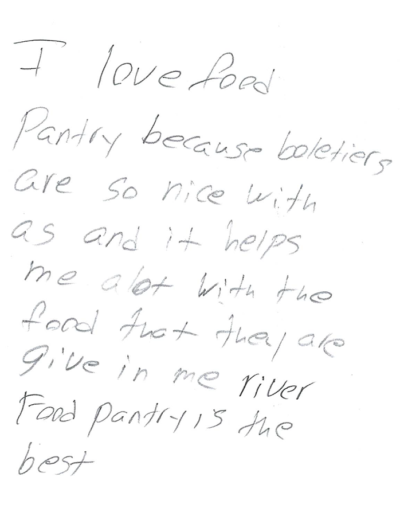 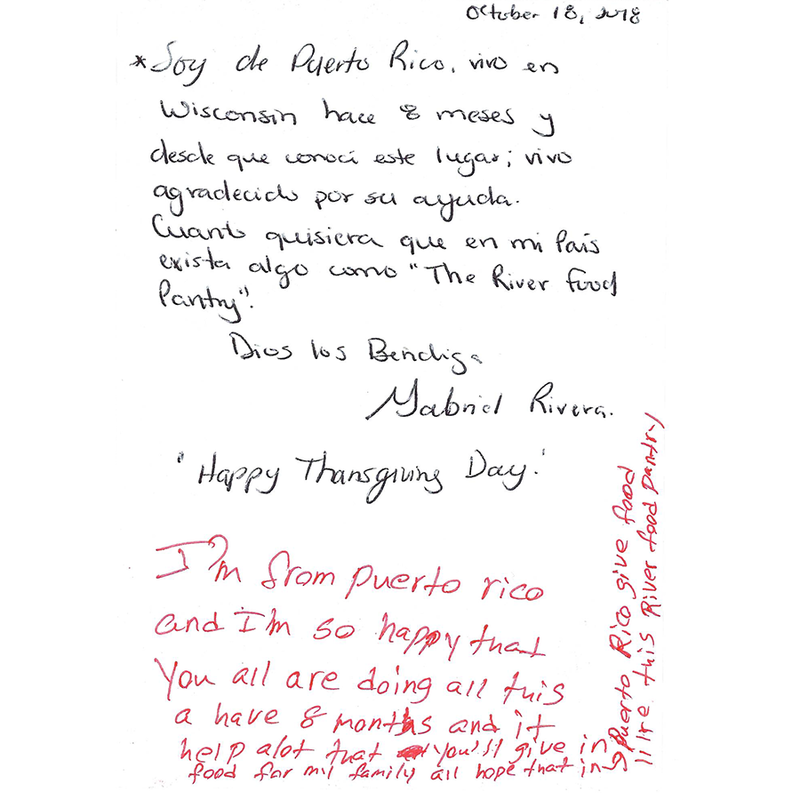 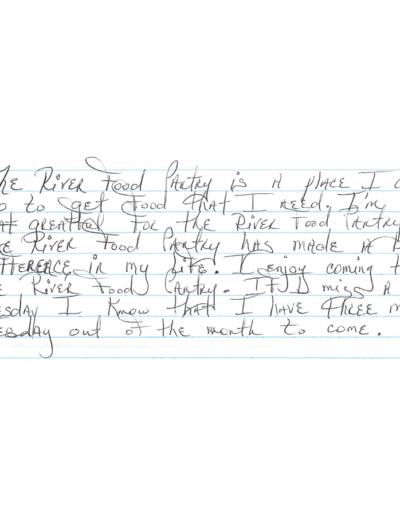 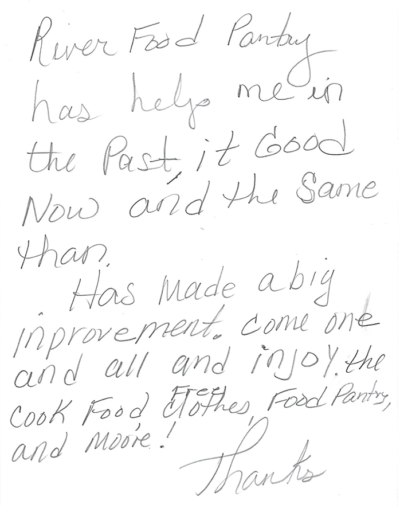 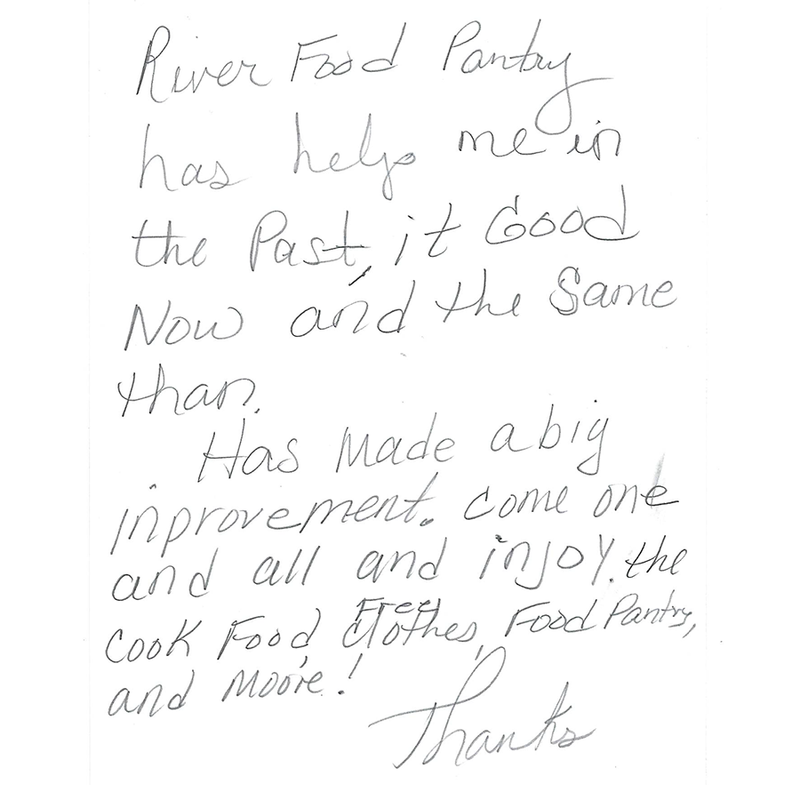 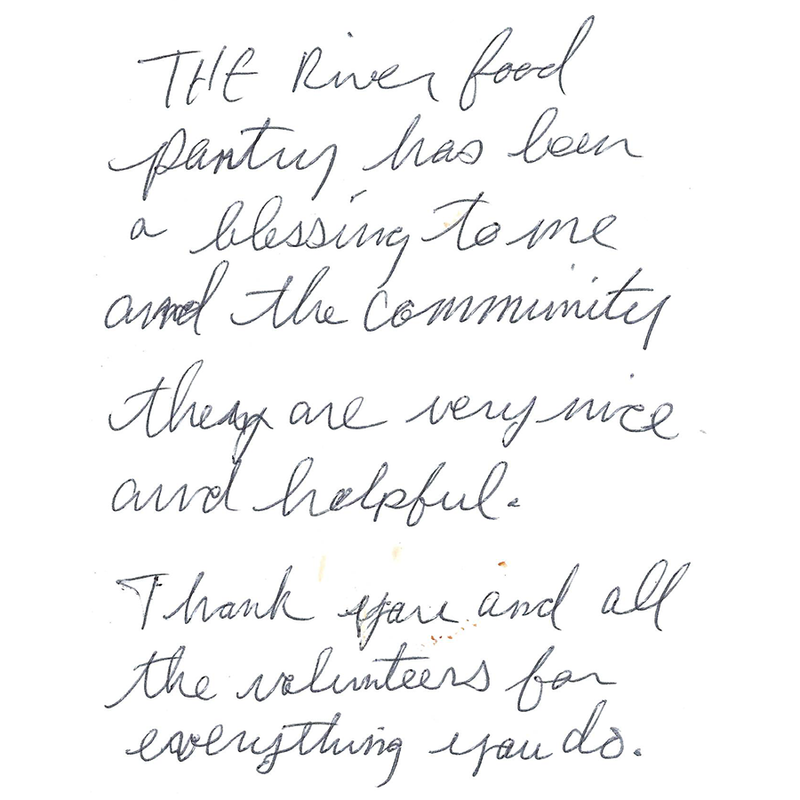 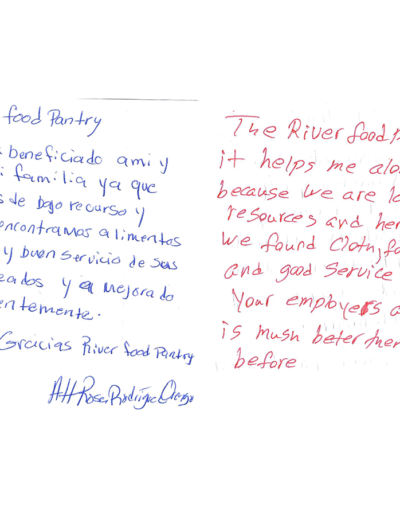 Join The River Food Pantry on #GivingTuesday, a global day of giving! 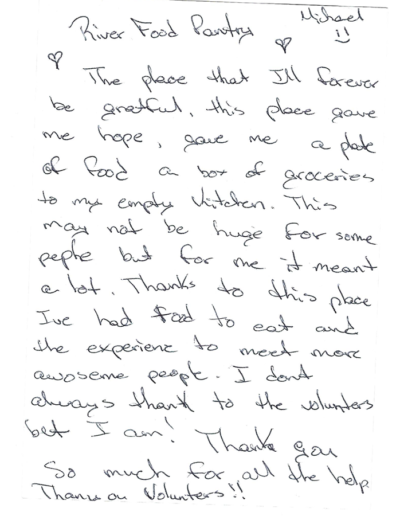 The money raised on #GivingTuesday allows us to provide food, resources and faith to over 1,000 households every week. 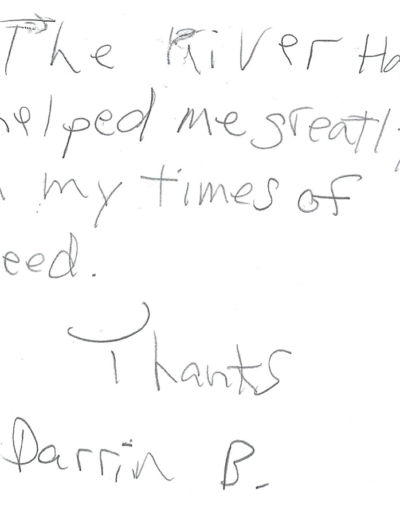 This would not be possible without YOU! 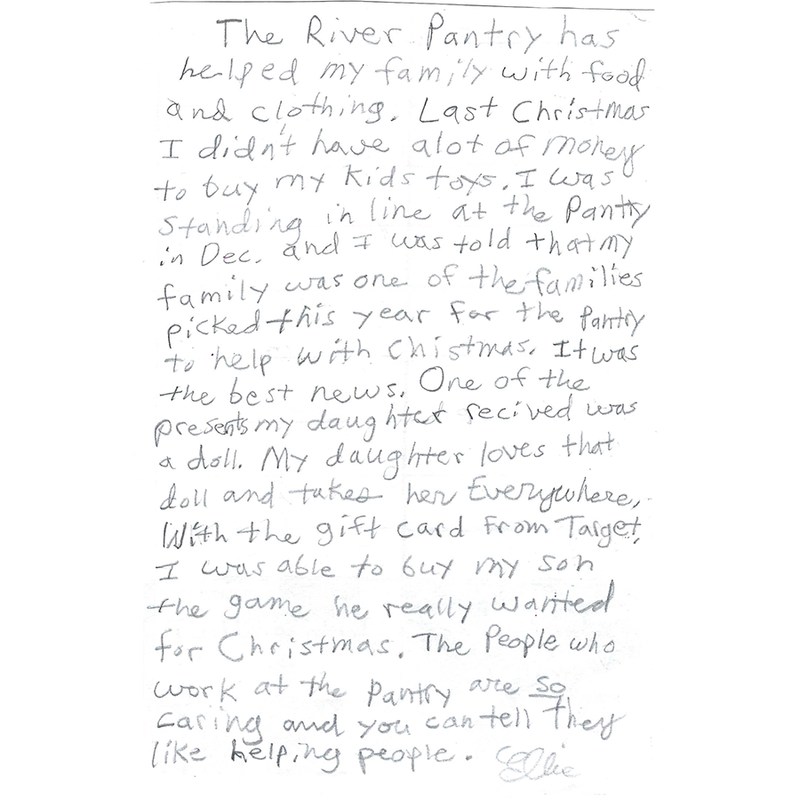 Last year, we raised $32,000, plus a $20,000 match, for a grand total of $52,550 to end hunger in our community! 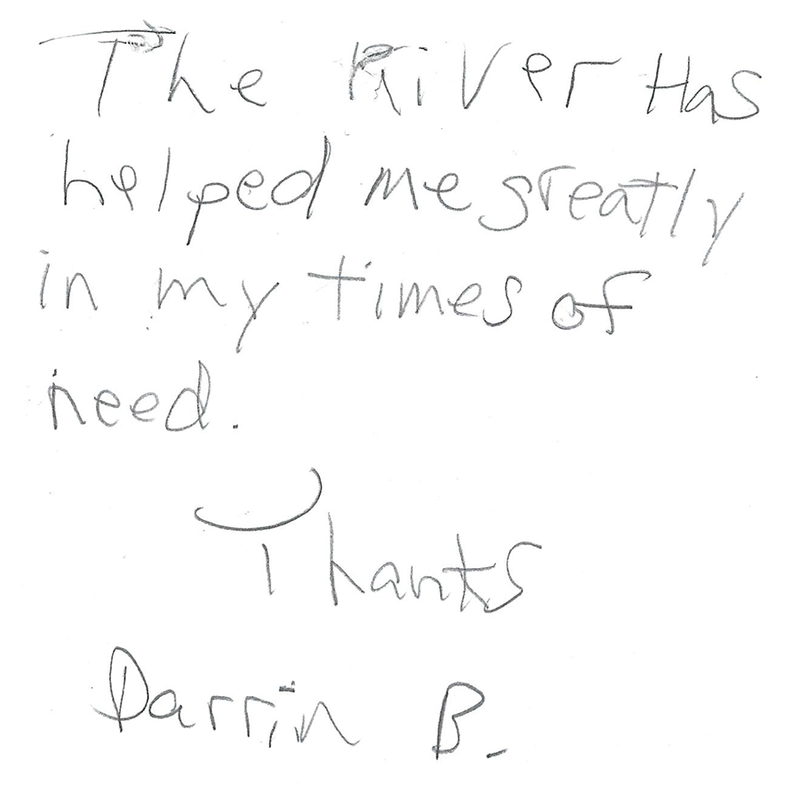 This year, your gifts will once again have DOUBLE the impact and will be matched up to $30,000, thanks to a generous donor! 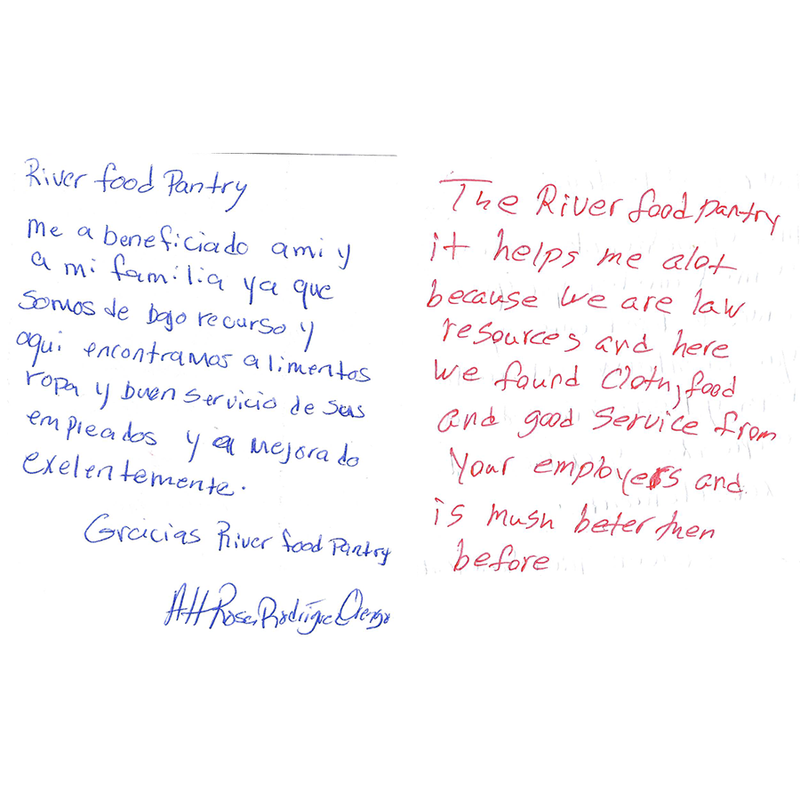 Follow us on Facebook, Twitter and Instagram on November 27th to learn about The River, see success stories and discover other ways you have helped The River positively impact lives in our community. 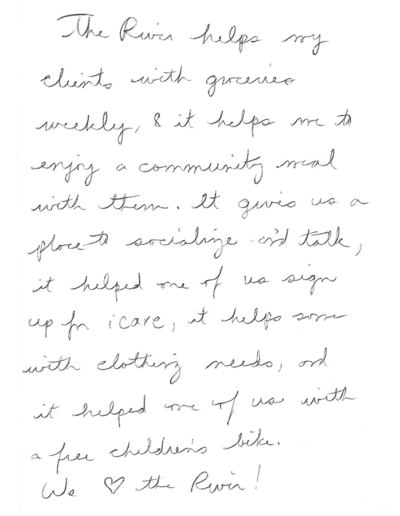 Like, comment and share our posts all day to help us reach new followers and supporters, and celebrate generosity! 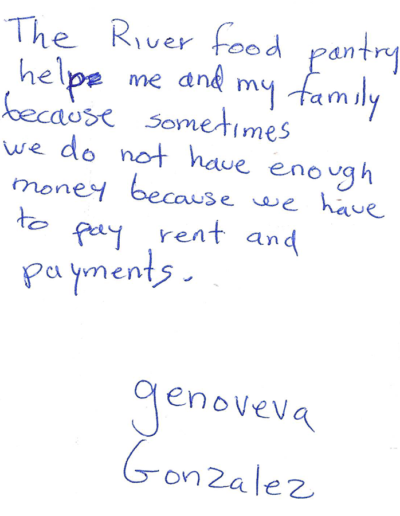 Give your #GivingTuesday donation here. 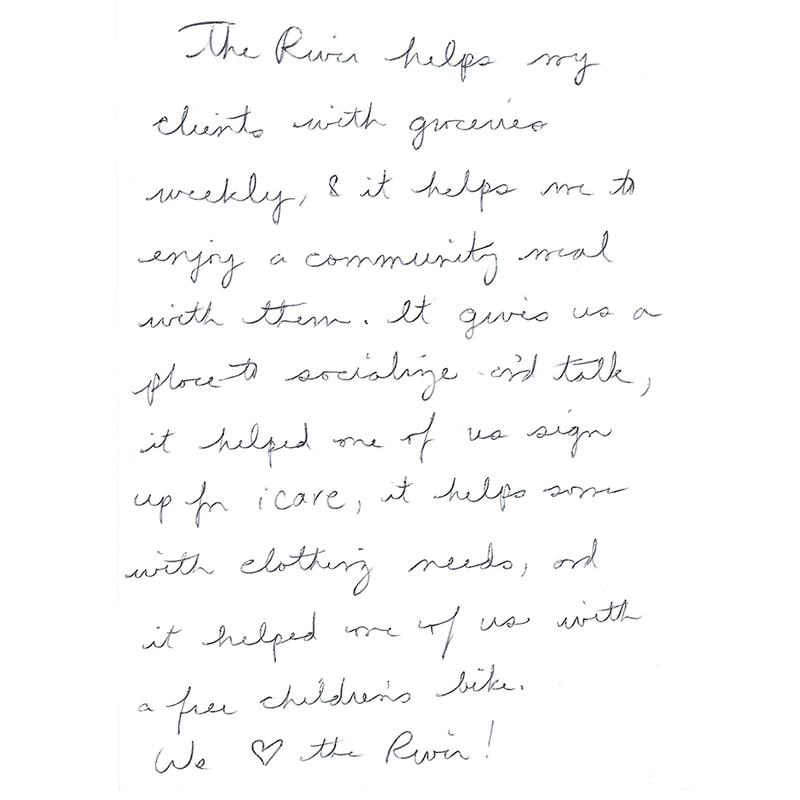 Start your own online fundraiser to raise money for The River on #GivingTuesday here. 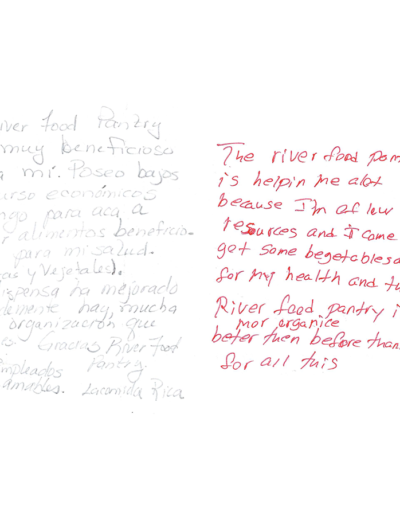 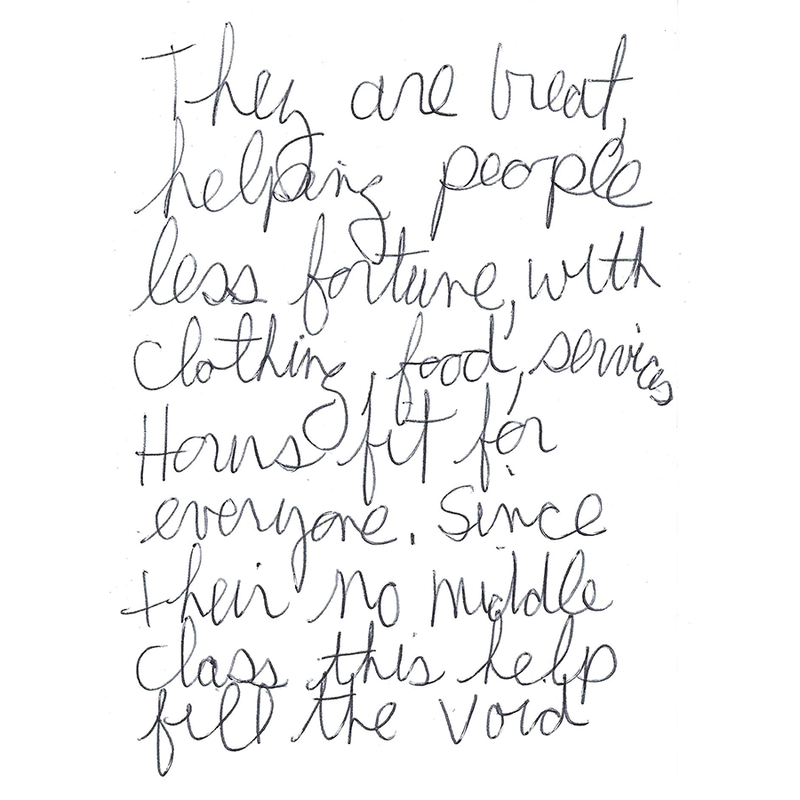 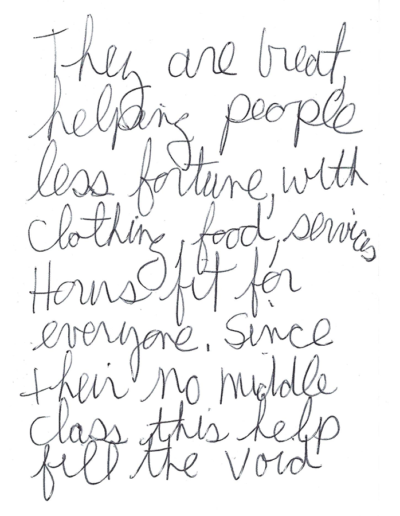 With your help, we can achieve a fully nourished community!